What do I like more than cloth diapers?? Upcycled cloth diapers! Today I am sharing with you a WAHM named M6 Cloth Diapers she makes super cute Upcycled diapers. Here is the diaper that I tried out. I love it! My first Transformer diaper. What is even better is the inside. This diaper is very well made and very easy to use. Here are some action shots. 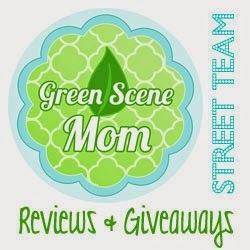 One lucky TTGG follower will be winning a $25 GC to anything in her store. I just love the deathly hallows inspired windpro hybrid fitted! I'm in love with the Doctor Who diaper!!! I Like the glow in the dark jack! Dh say the dark jack! I had no idea they made upcycled cloth diapers. I can't wait to tell my niece. I used cloth diapers on my children, they are the best way to go green. The Mickey Booty Pants and the Doctor Who diaper are my favorites. Oh wow!! My boys looooooove transformers!! This would be so amazing!! I have 2 boys in cloth and we would be thrilled!! From her shop the superman, my toddler is superman for halloween!! The deathly hallows diaper is my favorite! Soa diaper inspired is pretty cute . some adorable diapers in there! I like the harry potter and hunger games diapers. Love the Game of Thrones windpro hybrid fitted. I love the Mickey Mouse booty pants! I really like the Red jack and the Glow in the Dark Jack one! But there are a lot of nice diapers in her shop! I like the walking dead inspired windpro hybrid fitted diaper. I like the Deathly Hallows one. I am really liking the red jack diaper! thanks! Where can I get these Transformer diapers?